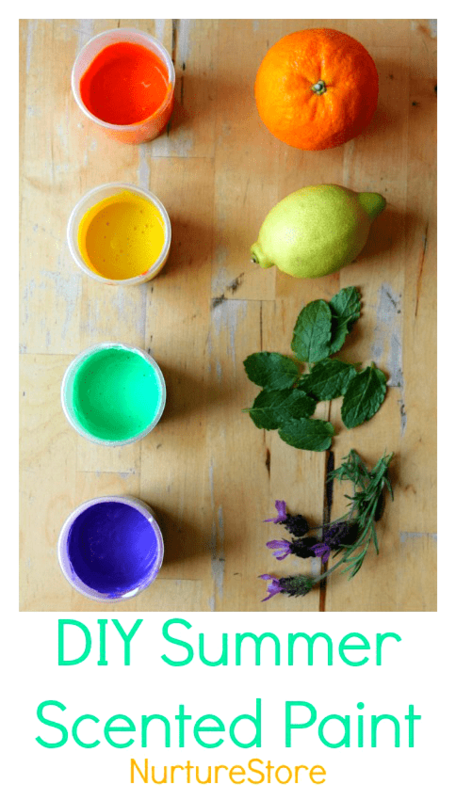 Add a burst of summer sunshine to your sensory play with this idea for how to make scented paint. 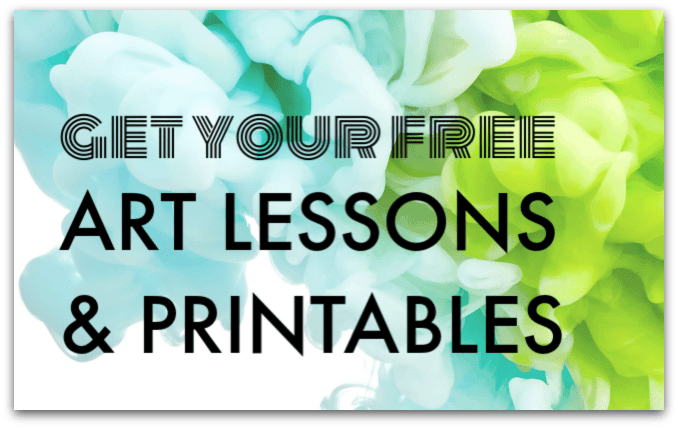 Click here to get free art lessons and printables! 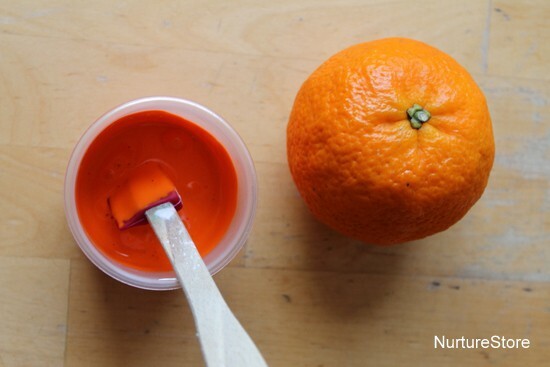 This recipe for scented paint feels like a cheat, as it’s so easy to make! Our homemade spice paint is always popular, both with my children and those of you who read along with us, so I thought we’d ring the changes for the coming season and make a summer version. 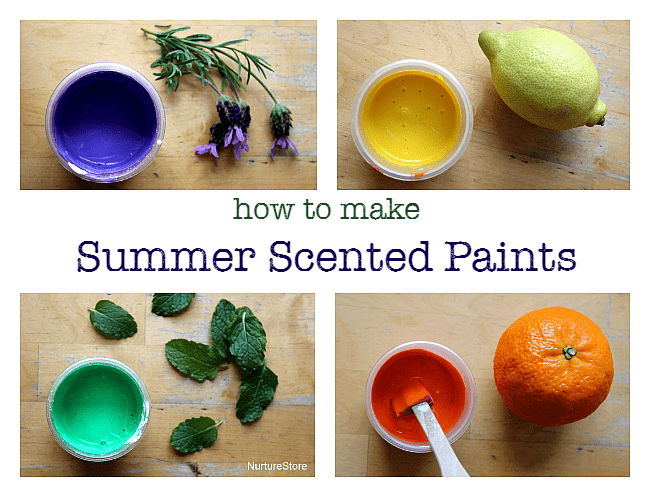 To make summer scented paint, all you need is your choice of paint and a selection of fragrances to add. 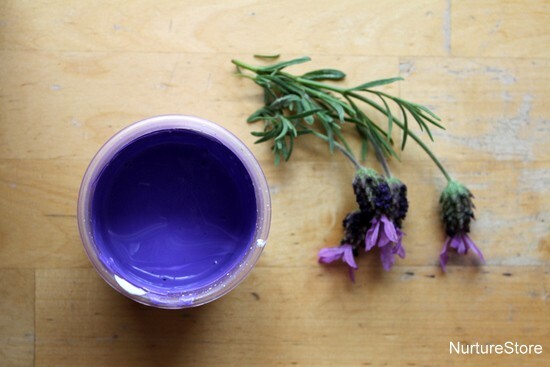 We’re using purple water-based paint and adding the flower buds and some chopped leaves from our homegrown lavender. 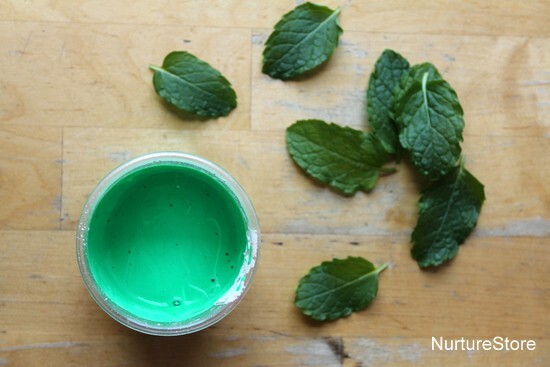 To our green paint, we’re adding mint leaves which the children have picked from our Garden Classroom. 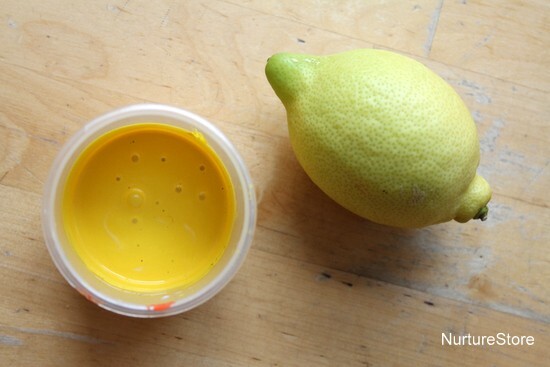 Yellow paint gets the grated rind of a lemon. And the grated rind of an orange goes in our pot of orange paint. Give each paint pot a little stir, and you’re done. You can use the paint straight away and the fragrance will be released with every stroke of the brush. Cover the pots with a lid or some plastic wrap if you want to keep them over night. You can fish out the mint leaves if you want to, once the ‘flavour’ has had the chance to brew a bit, but we used ours just as they are. The scent doesn’t remain on the paper very long, so this is an in-the-moment, enjoy-the-process sensory experience. We kept the paint for a day or two to enjoy lots of painting in the garden. And the paint we’d used happened to match the colours in our Garden Classroom perfectly! 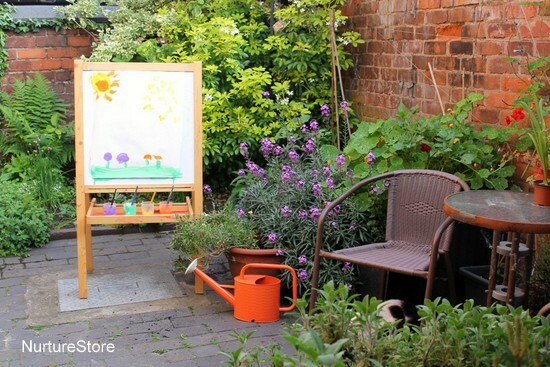 I love to set an easel in the garden, it’s such a quick and practical way to take some art outdoors. Let me make it easy for you to do more art with your children. Our lessons are perfect for children of all ages, and for school, home, and community groups. Sign up below and let's get started. Lovely! I have used koolaid to make all kinds of scented things…play dough, finger paint, moon sand. But I love the idea of using nature so much more! This is a must on our summer bucket list. Thanks for the idea! I used your scented paint idea for a detective theme I had in my preschool. we had to use our detective skill to find out what our paint smelled like. That is such a great idea Tammy! 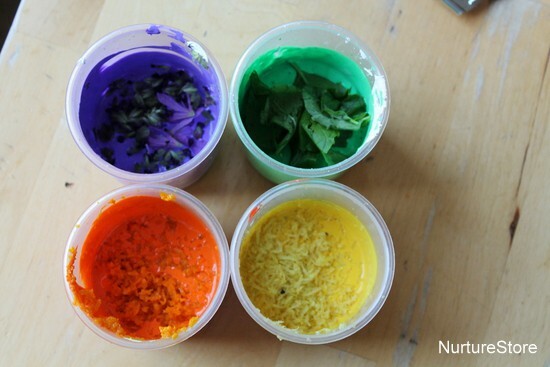 What a fun way to get aromatherapy into the kids’ hands! I love this, especially the part where you grew some of the ingredients yourself. Hi! Does the scent of paint last long? Hi Bella. We found it lasted a while in the paint if we stored it in a pot with a lid – so we could paint with it for a while. Once on the paper, the scent didn’t last very long though – it was more to enjoy the scent as the children painted.